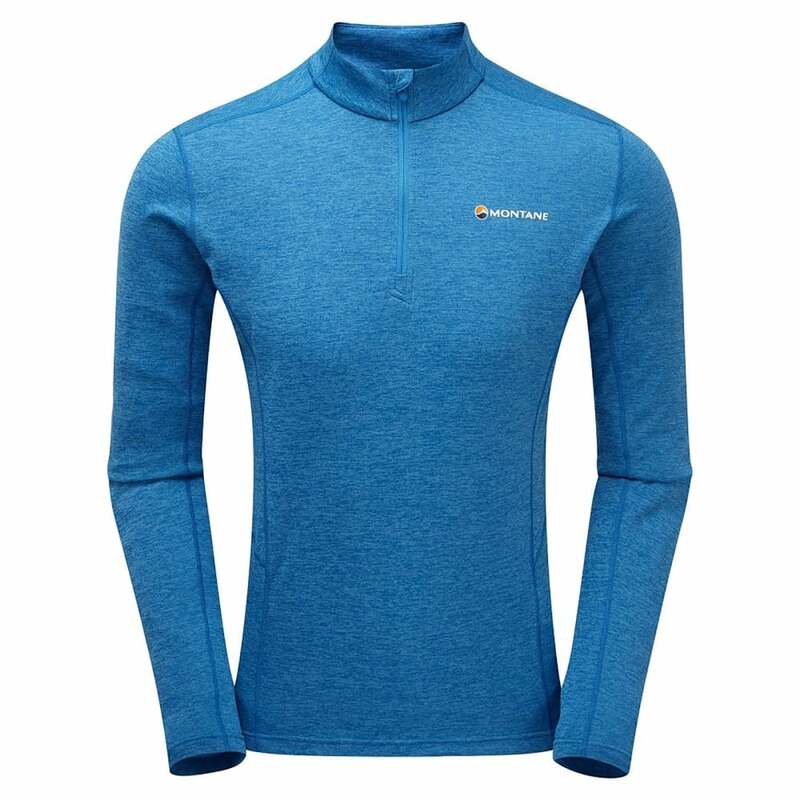 The Montane Mens Dart Zip Neck Long Sleeved T-shirt is a soft touch, high performance wicking and quick drying baselayer top that is set to take on whatever you throw at it, keeping its freshness for life. Apex-Dry fabric is a soft touch, high performance and anti-static fabric, with a super wicking pique textured backer. Great for baselayer products as it has high performance wicking and quick drying properties while also protecting skin from the sun by featuring a UPF of 40+. Polygiene technology provides permanent odour resistance, helping you stay fresher for longer. The garment features flatlock seams for next-to-skin comfort, reducing uncomfortable rubbing and chaffing. The zip neck design allows for ventilation should a degree of temperature control be required. Zip the neck up fully to retain heat or open the zip to allow for rapid cooling.